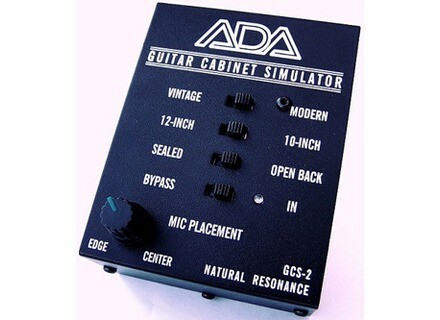 GCS-2, Guitar Cabinet Simulator from A/DA. 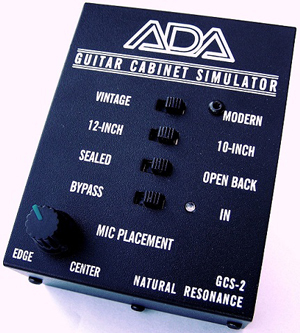 ADA introduces their new Guitar Cabinet Simulator, the GCS-2. Selectable 10” or 12” Speaker Size. Effects the bottom response and mid-range coloration. Selectable OPEN BACK or SEALED Cabinet Type. Variable MICROPHONE PLACEMENT Control “positions” the mic to tailor the low and high frequencies of a real speaker in the same way a sound engineer would by moving a microphone near the edge or the center of the speaker. MSRP is $139.96, MAP is $104.95. New Gibson Midtown Standard P-90 Guitar Gibson releases new Midtown Standard P-90 models. Laffing Dog Blue Dog Laffing Dog has released a new overdrive pedal, the Blue Dog. Voodoo Lab Giggity Voodoo Lab announced that it is now shipping Giggity, The Analog Mastering Preamp for Guitar.